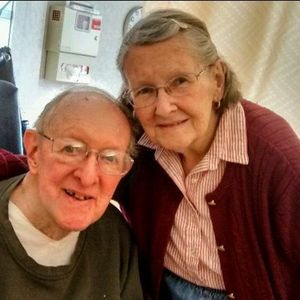 A. Duane Frayer, age 87 of Fairview Park, passed away peacefully while surrounded by his loving family on Tuesday, March 26, 2019. Duane was born on October 10, 1931 to parents Wallace and Vernye (nee: Scott) Frayer in Middletown, Ohio. He first began his career as a Methodist minister before moving on to work for American Greetings Company. He also worked for The Heart Association, and at United Ways "First Call For Help". He wrote religious articles for the Sun Newspapers for over 20 years, was an avid reader, former Boy Scouts Master, enjoyed painting, and he volunteered in the theatre department at Tri-C and Kent State University. Duane leaves behind his beloved wife Paula (nee: Mac Donald) of 61 years; children Linda S. Frayer and Jeffrey S. Frayer; and two grandchildren Taryn Smagola and Brianna Ries. A celebration of Duane's life was held privately at the funeral home where he was surrounded again by his family. Add your thoughts, prayers or a condolence to A. Duane's guestbook.